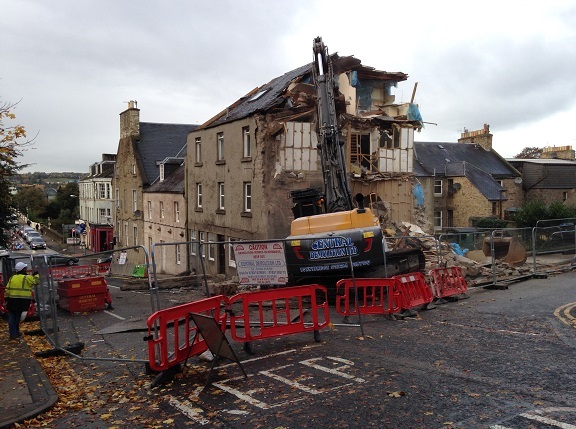 Perth & Kinross Council selected Central Demolition Limited to demolish 6-10 East Bridge Street, Perth – a dangerous building. 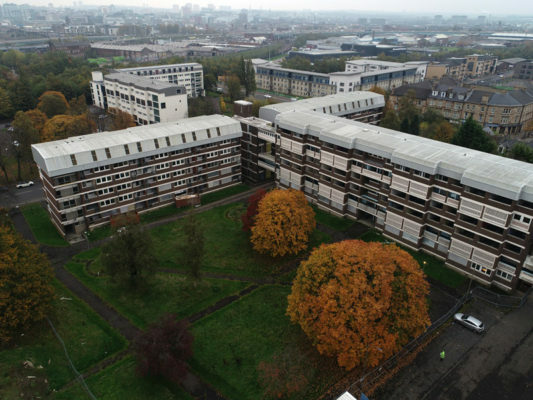 A few months prior to our works, tenants had been forced out of their homes in the building housing 6-10 East Bridge Street due to concerns over the safety of the building. At the rear of the building, the supporting wall and gable were damaged which made the building a risk. 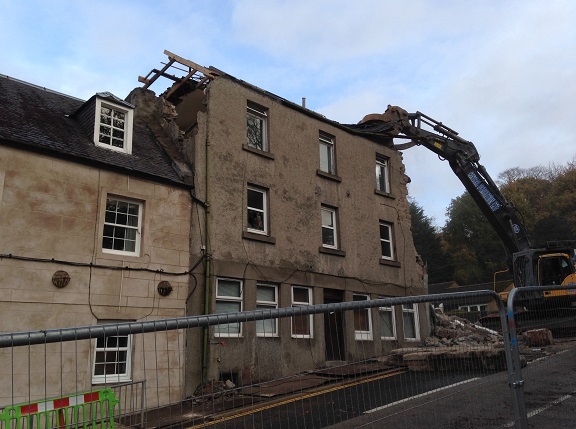 Perth & Kinross Council consulted with structural engineers and were advised that there were no alternatives – the building had to be demolished. Prior to the main demolition, the chimney stack was demolished by hand demolition. This was to prevent damage to the adjoining building. A hole was also knocked into the roof of the building to allow for debris to fall into the dangerous building rather than falling externally and potentially risking the safety of the public and damaging surrounding pathways and roads. This project required precision, and we carefully used a machine to demolish the building to basement level. Debris was left on site to backfill the basement, so as to prevent the possibility of any members of the public falling into the void left. 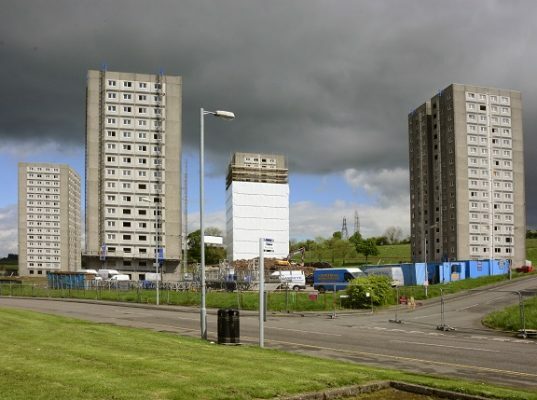 When the demolition works were completed, all waste was removed from site and taken to our Bonnybridge yard to be processed and recycled wherever possible. The project was certainly challenging. 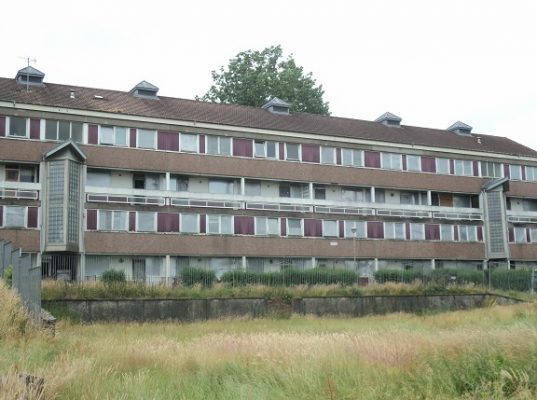 There were ‘live’ buildings in close proximity to the site – including adjoining property. 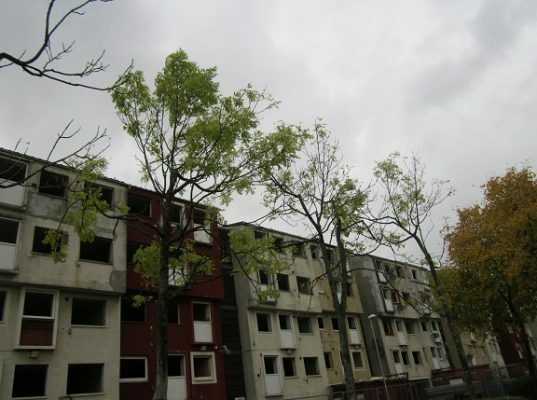 These buildings included residential property and a nearby care home. We had to maintain 24 hour access to the care home in case of emergency. Also, due to the gradient of the road, the machine could only demolish from one side so we had to use a larger machine. Major risks were associated with this project. 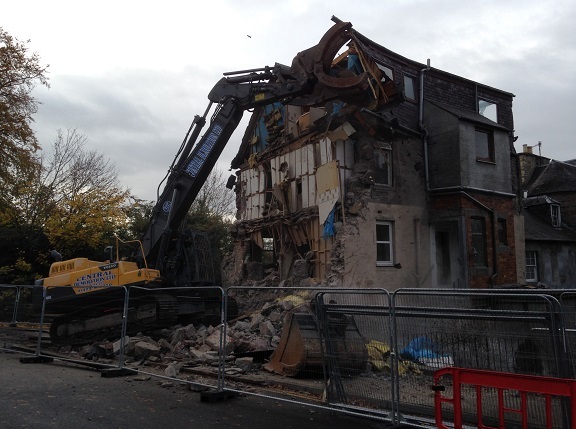 The biggest risk was the potential collapse of the building as the demolition works progressed. A maximum amount of care was therefore taken to prevent unexpected collapse. The project was complete safely, on time and within budget. Our machine operator, Gary Wilson, was commended for his high level of skill and absolute precision in bringing down the building. He later went on to be shortlisted for the Demolition Plant Operative of the Year Award at the prestigious NFDC Demolition Awards 2014. 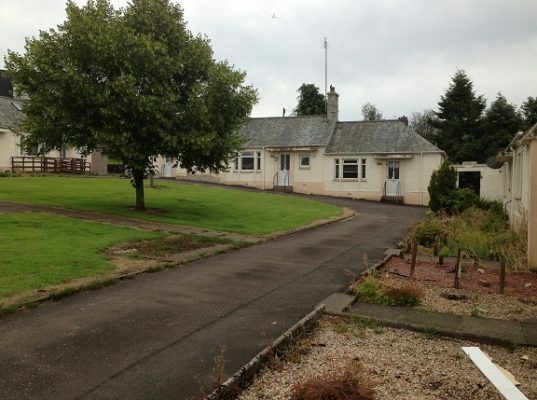 Perth & Kinross Council were delighted with how we handled the project and were keen to work with us again.